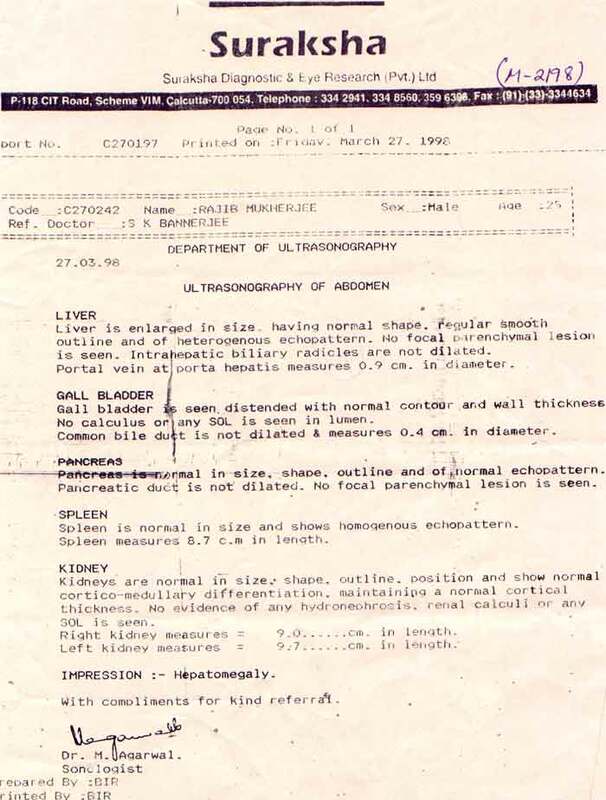 Sonographic report of Mr. 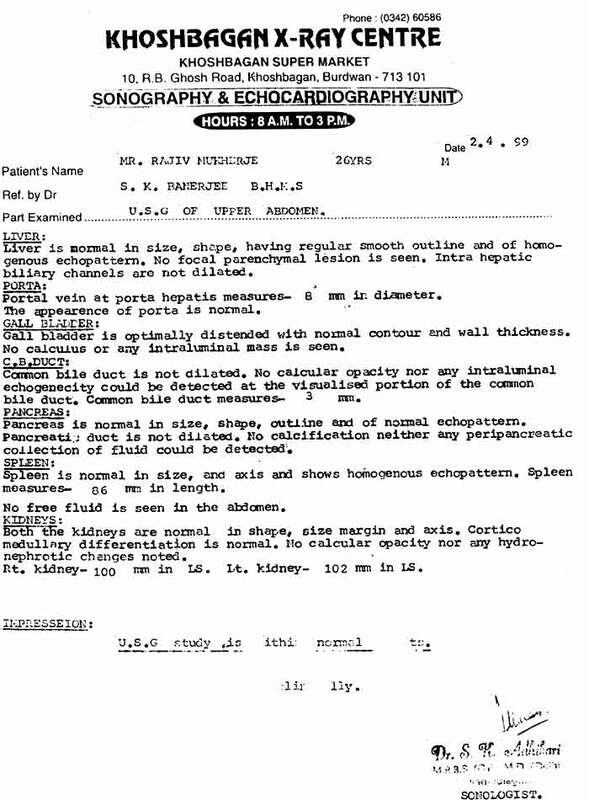 R.M., Hepatomegaly, before treatment of Dr. Banerjea. Sonographic report after 14 months after treatment.